I’ve taken the unusual step of making this newsletter into a post on my blog. I know, it’s been a while since you last had a newsletter from me and you might have been wondering where I’ve been. Well, it was the summer holidays, so we had the three boys home from school (which was interesting). 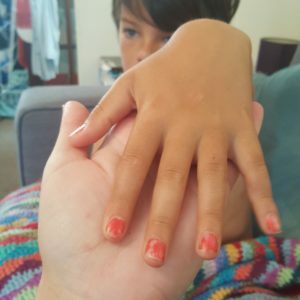 Returning Home from a Play Date With Nail Varnish On! That’s NOT How You Cut Yarn for Crafting! 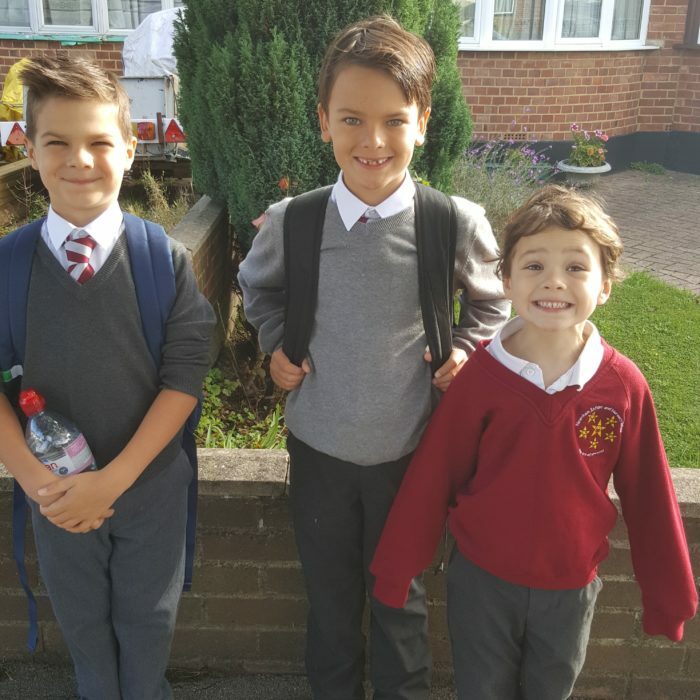 Then there was back to school and all the chaos that entails (who’s grown out of their shoes, where have all the school jumpers gone, who needs a new lunchbox…)! First Day of the New School Year – This is what I get when I ask for “Best Smiles”. And now that half-term has arrived, I have some time and, more importantly, some headspace again (if only for this week). The very beautiful Sophie in Cotton Candy Man Scheepjes Whirl by Jenny. The #notaCAL I hosted on Instagram – I’d love to see what you made if you followed this. My look back at Last Year’s Yarndale. 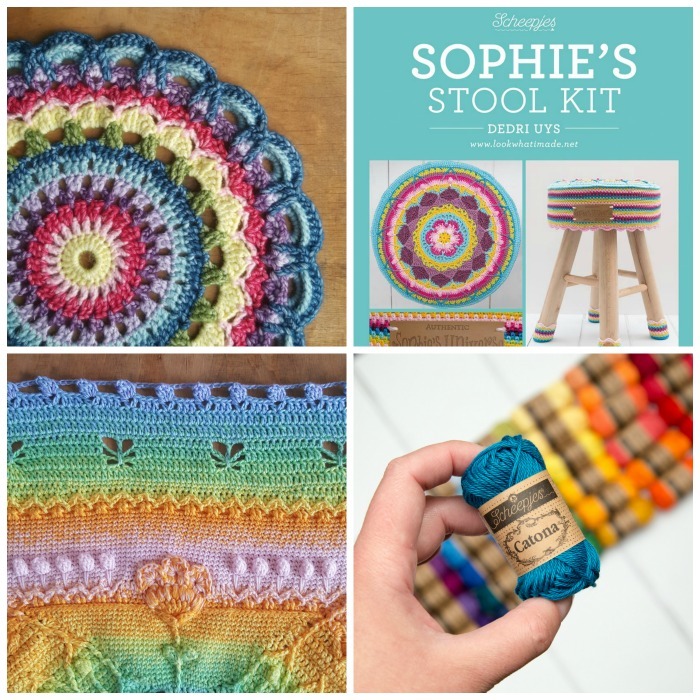 The new Sophie Stool Kits that will be available in stores from the first week of November – Squee!!! A look at Catona Cutie Pies and the Secret Lives of Colour. And, of course, I’ve also been busy crocheting, planning, dreaming – so over the next few months, I have some exciting things to share with you all. The photos below are all projects I am working on and/or patterns I will be releasing on the blog. I should mention that I have had 6 fairies helping me ‘make’ over the last six months. I cannot tell you how grateful I am for their help. Thank you to Lynnette, Kay, Minno, Jenny, Pat, and Melanie. Don’t Ask! I Can’t Tell Yet!! But first, I would like to ask for your help. I’d like to know what you like about my newsletters, what you would like to see more of/less of, and anything new I could consider adding. Also, how often would you like it to drop into your inbox and do you know where to find back issues online? It’s easiest for me if you let me know your thoughts by commenting below. I look forward to hearing from you! Ps. I feel a bit sheepish about mentioning this, but I feel like I should. I was runner-up (best crochet blog) and third place (best crochet book – Sophie) in the recent British Knitting and Stitching Awards 2017. When I attended the awards ceremony, I got to chat to Attic24 Lucy and her friend Yarndale Emma, as well as Verity from Truly Hooked, Janie Crow, and Stuart Hillard (author of Sew Fabulous). Lucy won A LOT of awards. You can read more about that HERE on her blog. I would like to thank everyone who voted for me (and for Sophie). You made me feel like a Princess-for-a-day. Pps. I have just found out that I have been nominated for Designer of the Year and Blog of the Year in the British Craft Awards 2018. Yay! Scheepjes, Wool Warehouse, Janie Crow and Kirsten Ballering have also been nominated (among many others). 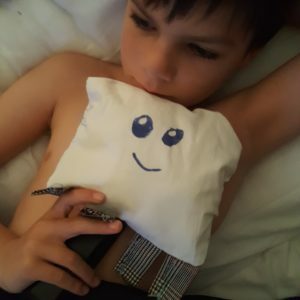 I just today discovered your blog and have subscribed. I ate a bowl full of eye candy while looking through all you have in this one post. The baby blanket sneak peak with soft pastel rainbow colors has won my heart. Not sure if this is old post and already missed the uncovering of the covering (LOL) but from the dates on the comments I’m hopeful this is still coming. Also the triangular piece shown is so unusual and imagine lots of them put together into a pretty something. 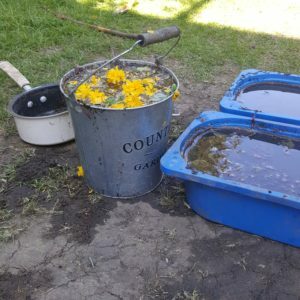 The tiny blue start squares (assume they are coasters) would make great throw bags for my grandson to learn aiming skills (2 yo) by tossing them into a cardboard box or maybe big holes cut in a large box. I really adore the pastel rainbow baby blanket but don’t have a baby now or in the future as the 2 yo was a surprise gift after finishing a family. SO, question: How can I turn my love of this yarn into something for me? 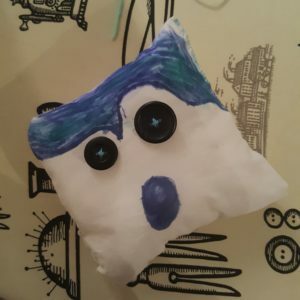 I guess a pillow but maybe some other ideas? Will the yearn be available? LOVE your blog and congrats on your recognition from the “officials” as you certainly deserve it. I haven’t crochets in 45 years but Lucy’s CAL caught my eye and the 2 yo needed an afghan for his bed which he is about to get, hopefully before he falls on his head trying to get out of the crib! I made quilts for all my grands but not him, yet. So, since he received so many crochets baby blankets which he just adores and must have them stacked up on top of him each night – all 7 of them, I thought I would do Lucy’s CAL Woodland Walk so he would have a proper full size afghan for the new bed. 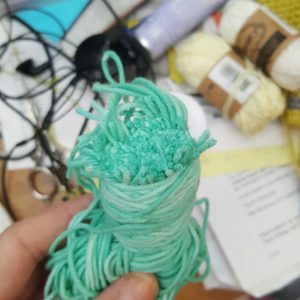 It has been so relaxing to crochet each night – I had forgotten how much I enjoyed that and hope I can continue by making something with that pastel rainbow. Thanks for such a useful and well laid out blog. Hi Mary. Thank you for your lovely long comment. I’m not sure which rainbow pastel baby blanket you are talking about. Is it maybe this Memory Lane blanket? The star squares will soon become a blanket, but the pattern is already available in the Yarn 1 bookazine (and available for sale on Ravelry). The triangular piece is a WIP, and has been for a very long time!! Enjoy the Woodland Walk. It is a lovely blanket! I love all your newsletters and blog posts and would dearly love ❤️ more of them but family should come first. three sets of hands, the ability to use them all at once on three different projects and all the time in the world . You have a beautiful family, enjoy them, because looking back someday you’ll wonder where the time went. Thank you, Debrielle (what a lovely name!). I am trying to figure out the balance. I am from Germany and my English is quite awful. Now I read the comment of Marcia, 31.10.2017, and I can say, she wrote exactly what I am thinking. So go on as you like, as you could, everything will be allright and I am looking forward to everything I will hear and see and read from you. Hi :) Thank you for taking the time to comment. I don’t think your English is awful at all! Dear Dedri, I know I am behind on commenting, but just wanted to let you know how much I enjoy your news letters and blogs with all the pictures and family news. They feel like you are speaking to me as a friend and an individual and I love that you include pictures of your family. I have completed a few of your projects with the time I have available and the time spent was very rewarding. I have only taken up crochet again in the last 3 years, and love it still….I am my grandmother’s granddaughter after-all! I have many pieces she made and use them daily. As for your time spent with all of us, my thought is that you should give most of your attention to your husband and boys….when the boys are grown and gone, it will seem like it happened in flash, and you can never get that time back…this from someone who worked full time and overtime when my daughter was growing up! She is now a wonderful person and mother herself, but I miss that little girl! 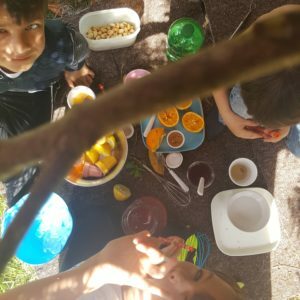 On the other hand, you need to satisfy your creative needs as well, but draw a line on time spent and continue to include your family in your craft…especially to foster creativity in your boys! You have a beautiful family and a wonderful smile! Ellen, what a lovely and considerate comment! I love that bit about being a grandmother’s granddaughter! I get the biggest kick out of the boys and their love of anything creative. I will def foster that! as usual I love everything that you design as well as most of the things you promote. I enjoy finding your newsletters in my emails and when i see one in the list i get a coffee ready and then i know i am ready to open it and get completely lost within. You have so many hats to wear; designer/blogger/wife/mum/employee/friend/family as well as others not mentioned. How you ever found the time to commit to them all is astounding. And yet you still think of us and offer to keep doing the newsletters in the way we would like to receive them (as a whole depending on the replies to this post). While i look forward to the emails i know i can always come directly to your site and just hunt around (which i do often lol). we all appreciate the time/talent/dedication to design what you do and i for one wouldnt mind if newsletters took a backseat. the information would still be here without the newsletters and its fun to find something new while hunting around rather than always being led to it. I, like those who have posted before me, love getting your newsletters and whatever you care to share is great. I personally enjoy reading your funny little stories, reading about the interesting people you meet and places you go, and I even empathize with you when you need to rant. Of course, I also enjoy seeing what your creating because that’s how most of us found your site in the first place. Basically I’m saying that you should write whatever is in your heart to write, it’s your blog after all. As for the timing of your posts, your family should come first so whenever it fits into your schedule is sufficient for those of us following you in my humble opinion. I enjoy receiving your e-mails with the newsletter. Thy usually arrive on a Friday, and always brightens up my day. Please don’t stop. I really missed your newsletters when they didnt arrive over the past weeks. I enjoy your style of writing and always find the content entertaining. I dont find iit too technical, but am really inspired by the crocheting you do and describe in the newsletters. Keep it up. Baie geluk met jou toekennings en nominasies. Jy maak Suid Afrika trots. Hi Leoni :) Thank you for your congratulations and your lovely comment. Ek probeer my bes om alles te wees vir almal. Dit raak ‘n bietjie complicated. Dedri! 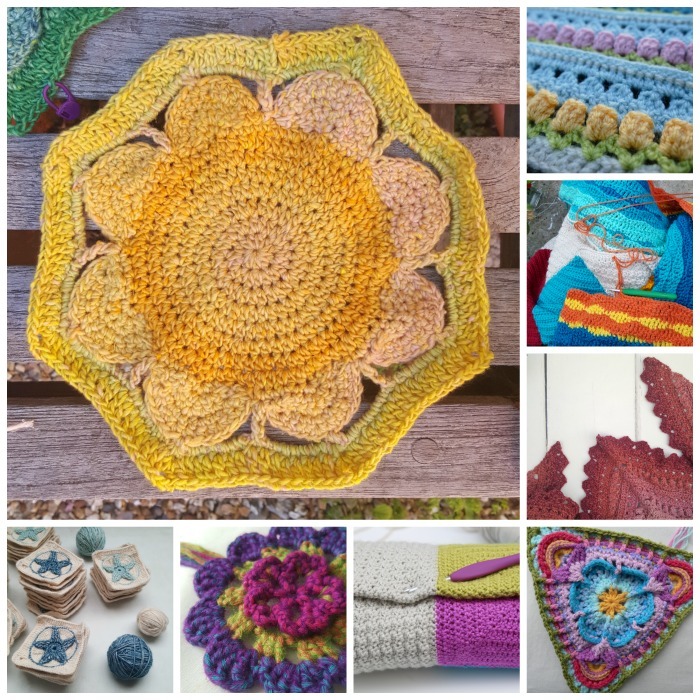 Thank you so much for your wonderful crochet blog/newsletter. Sit quietly, and ask yourself….”If no one expected me to do anything and I had no expectations for myself….WHAT WOULD I ENJOY DOING WITH MY TIME?”. Don’t think about us. Think about what would bring you the most joy, and do that! I am happy with a once in a while newsletter, and happy if you need to put the newsletter on pause…or end it…whatever. Because I’m grateful for the times your lovely newsletter came into my inbox and sending you the “message” to go where your heart is now! If you feel like writing about some other topic….why not!!!??? Up to you, honey! Marie, thank you for your encouraging comment. The newsletter is what I would enjoy doing with my time, but everything else gets in the way!! I love your letters but also understand a crazy life with children. I will love seeing your work no matter what the time frame. Congratulations on you’re nomination, you deserve it! Looking forward to your new projects. Hi what you could do is take a rest for a while and see how you feel about things whether you have the time to do it you have done so much work and your family must come first i love all crochet work maybe just do the newsletters once a month it would be a shame to finish it all together you have worked so hard to reach where you are now .